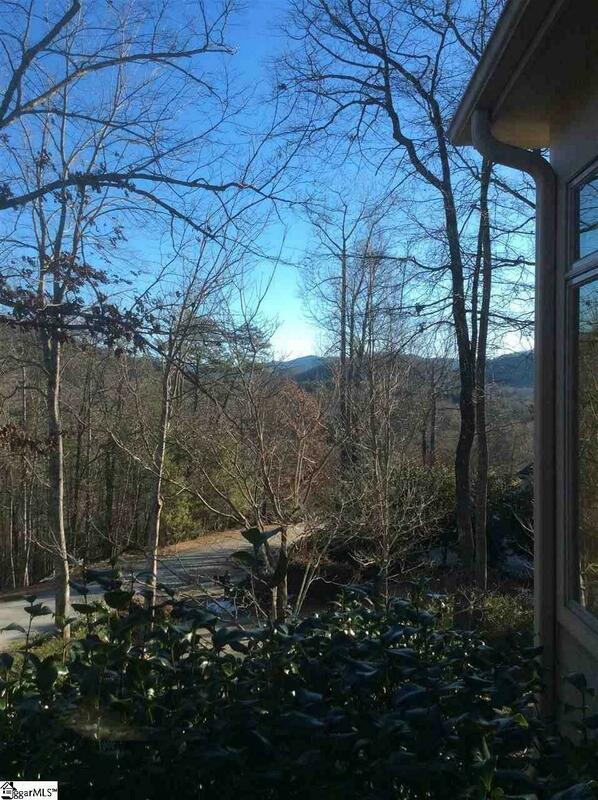 Nestled in the mountains just minutes from Greenville, SC, make yourself at home in the comfort and convenience of The Cliffs Valley gated golf and wellness community. 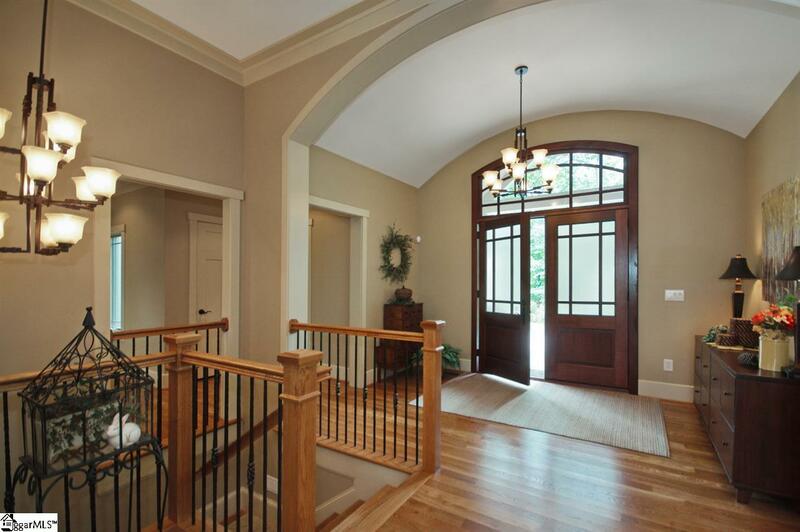 Beautiful craftsman style home built by Bergeron Builders. 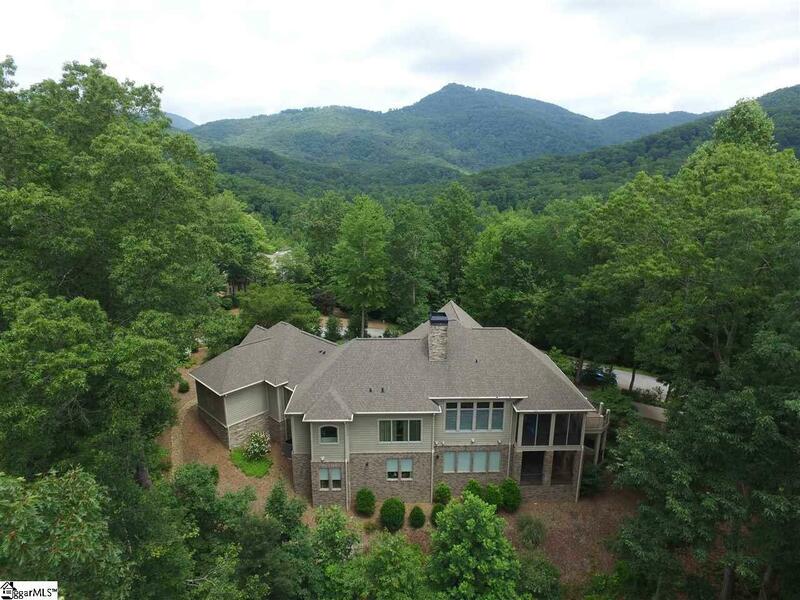 This home was well planned, positioned on the 2.6 acre lot to give the best seasonal ridge and mountain views from many rooms of the home. The wooded landscape includes a variety of trees, plenty of flowering shrubs and many types of ground cover, all adding color and interest on the property throughout the year. 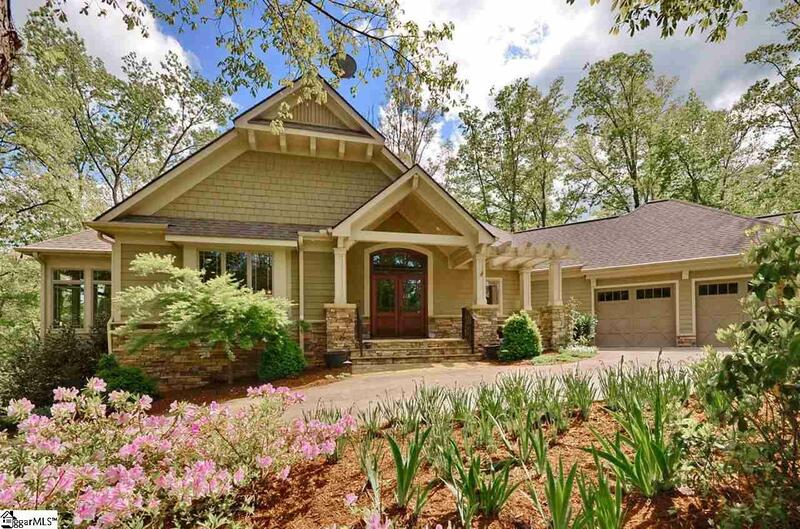 This home features an open floor plan on the main living level, a great room with built-ins including bookcases, computer desk center as well as a media center all positioned around the craftsman style gas fireplace. There is also a dining room with a built-in buffet, large kitchen with an eat-in oversized island, spacious owners suite with private bath and walk-in closet, a separate powder room and a large laundry room. Your guests will feel comfortable and special when staying in the finished walkout lower level of the home which includes a large recreation room with wet bar, a second master suite with private bath and walk-in closet, two additional bedrooms with walk-in closets that share a bath, and an area that can be used as an office, study or media room. An additional area in the lower level of the home offers plenty of storage space, a utility sink as well as plumbing for the hookups necessary to add an additional washer and dryer for the convenience of assisting visiting guests. An oversized two-car garage provides room for a 3rd car or workshop area. An extra 2-car parking pad is positioned just outside the garage. Other features of this home include a large screened-in porch with separate open grilling deck and a covered slate patio off the bar area in the lower level. The home is perfectly located just a short distance from the main gate, Clubhouse, Ben Wright designed golf course and the Wellness Center. The Cliffs Valley is conveniently located near Greenville, SC and Hendersonville, NC and less than an hour away from Asheville, North Carolina. A Cliffs Club membership is available to purchase with the real estate.